A former employee at Whiting Forensic received the longest sentence so far in a case of patient abuse at the psychiatric facility. The longest sentence yet was handed out in connection with a patient abuse case at Connecticut’s maximum-security psychiatric hospital Tuesday - 21 months in prison. NBC Connecticut Investigates broke the story about the abuse two years ago. Seth Quider was one of 10 employees at the Whiting Forensic Hospital charged in connection with the abuse of middle-aged patient Bill Shehadi. Like three others before him, Quider made a plea instead of going to trial, but in his case he got a sentence more than three times as long. “With regard to Mr. Quider, I have to say to the court that in the state's opinion, his conduct was the most violent, physically violent toward Mr. Shehadi”, said State’s Attorney Jeff Doskos. Doskos told the court Quider flipped Shehadi off his bed, and worse. Shehadi’s brother Al urged the judge to give Quider the most severe sentence she could, based on the evidence recorded at Whiting Forensic Hospital. Quider’s attorney Salvatore Bonanno argued a total potential sentence of seven years was too harsh, noting Quider has learning disabilities. 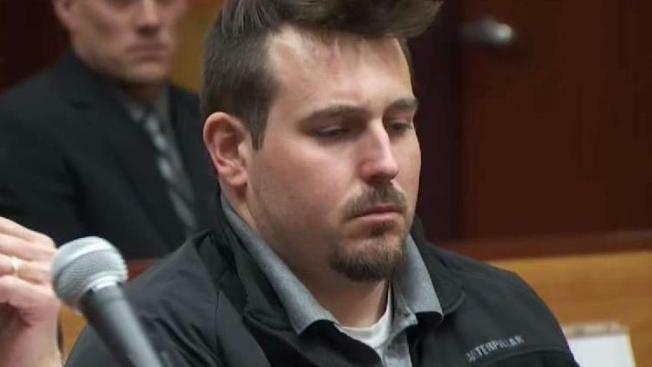 He called Quider a follower who took orders from former fellow whiting employee Mark Cusson, a forensic nurse scheduled to go to trial on abuse charges next week. “My client followed instructions that does not absolve my client of his behavior, he's accepting full responsibility for his behavior”, Bonanno said. The judge ended up giving Quider seven years in prison, suspended after 21 months on his two counts of cruelty to persons. Quider did not address the court, nor did his friends or family. His attorney read a statement where Quider expressed his remorse.